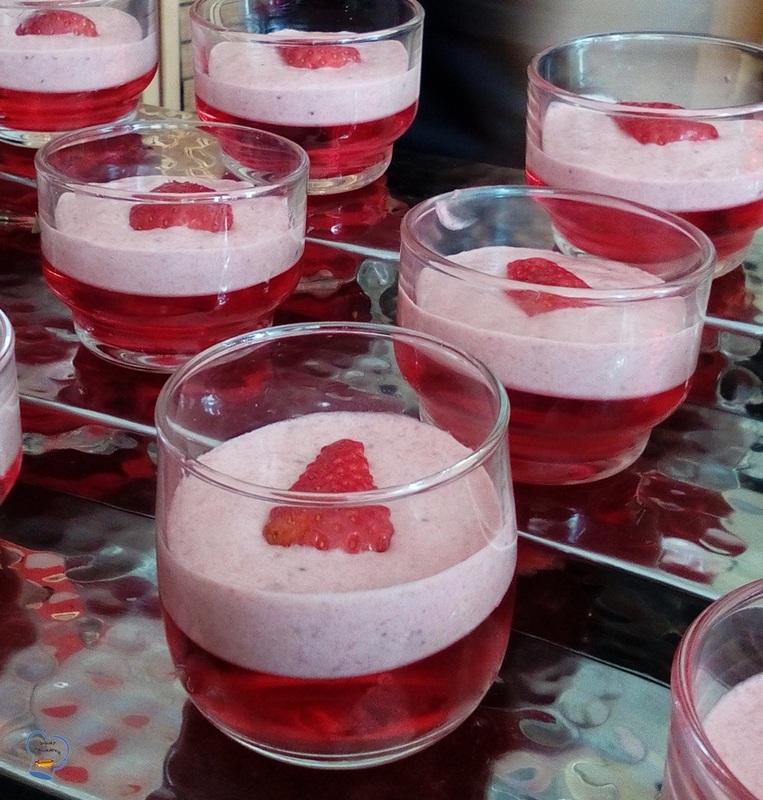 I ditched the chocolate cream and made this simple strawberry jelly topped with strawberry mousse as an added treat for the resort's guest on Valentine's Day. 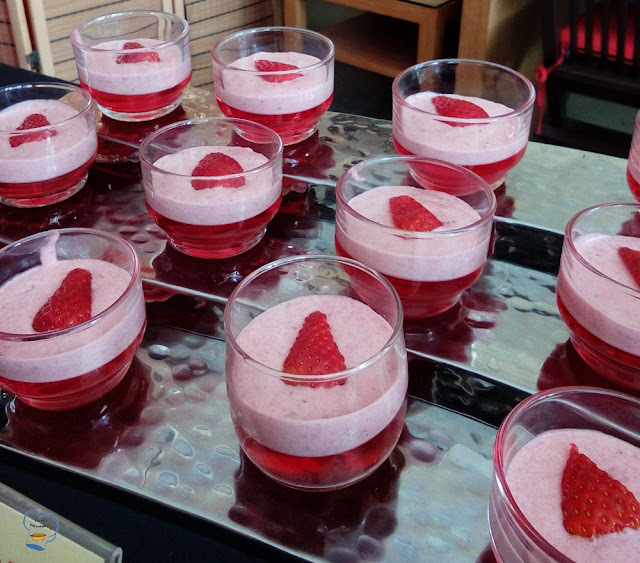 It was supposed to have three layers, with each layer using gelatine as the base but due to miscommunication between me and the one in-charge of purchases, the powdered gelatine mix was not delivered. Instead of skipping the planned dessert, I decided to use the remaining four packets of the powdered gelatine left from last Christmas to make the base. 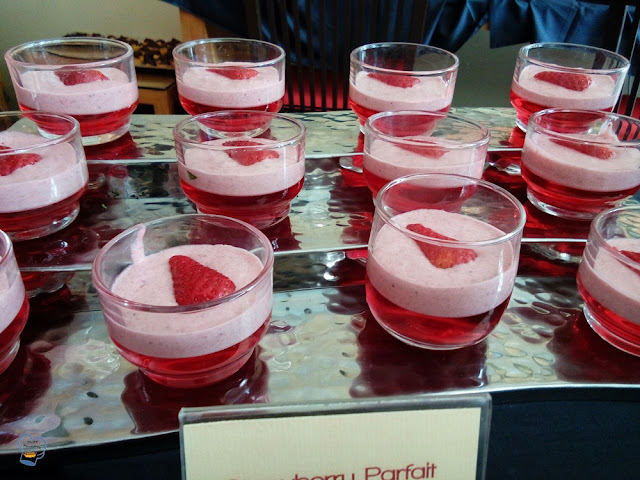 To create the contrast in color and taste, I topped it with strawberry mousse which I made by combining whipped cream and strawberry coulis. I forgot to jot down the amount of each ingredient for the mousse as I was rushing to finish it on time. Pardon me if I can't provide the recipe this time. And as for the decoration, I placed sliced strawberry on top.